To be truthful there is really not a lot on the route from Llanberis to Snowdon, so to find this "oasis" was A*, despite being near the bottom of the route. 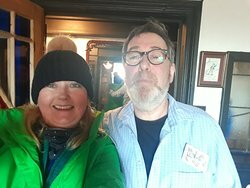 great for a beer on the way down and talk to other walkers about the day..............too many beers then a taxi is on hand from the owners. Oh yes there are toilets for customers ! This place is like a hidden gem surrounded by stunning nature. We had a lovely experience with Stefan (who is hilarious!). Lovely tea with traditional Welsh cakes (delicious!). 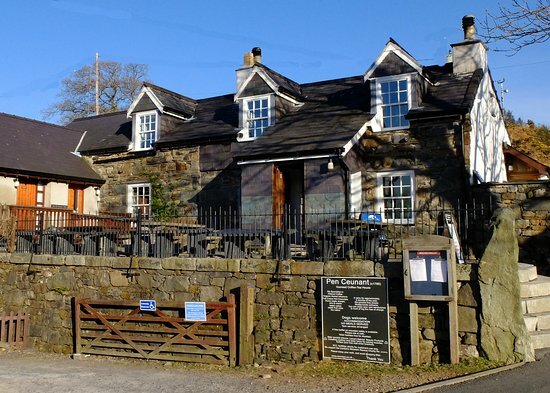 It is a must to visit on your way to Snowdon. The cottage is lovely and the welcome is precious. We definitely be back again. 28/02/2019: Friends invited us to Y Sgwar (The Square) on a Thursday evening in February. Apparently, there have been extensions to the building, decoration and other changes in recent weeks - it all looked very nice to us. 27/02/2019: Just back from the Sgwar. Lovely warm welcome on a Wednesday night. The restaurant has just had a refit and what a difference. And the food is still excellent. 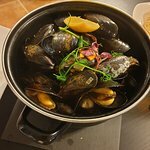 Tonight 4 of us enjoyed soup, tacos and mussels to start, Chicken, duck and lamb as mains and sticky toffee pudding for afters. Superb. Looking forward to our next visit already. 08/01/2019: Today (Tuesday) Hubby and me visited here for an early lunch. There is free parking but spaces are limited. 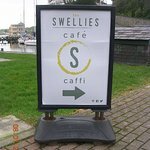 This small Cafe is named after the infamous swellies = the most treacherous stretch of water between the 2 bridges on the Menai Strait. I ordered and paid at the counter (the total bill came to £17.90 which I was able to pay by card/contactless). Service was quick and came with a smile. 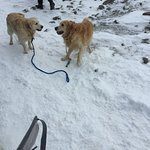 We both enjoyed our Swellies breakfast (served all day) which consisted of 2 thin pork sausages, 1 rasher of tasty bacon, 1 fried egg, beans, a mushroom and half a grilled tomato. We also had a large thick slice of toast & butter and a pot of tea each. The cafe is proud to serve quality food which is locally produced.